The pursuit of major innovations is often seen as a risky endeavor. However, there is a lower-risk way to commercialize certain types of high-impact innovations — by viewing initial applications as “lily pads” that a company can reach before leaping to the next market. When people talk about innovation, they often envision the big technical or conceptual advances that change the way we live — developments that have profound and lasting impact. Corning Inc.’s research in low-loss fused silica in the 1970s, which paved the way for breakthroughs in fiber-optic communications, sensing, and imaging applications, falls into this category. Early research by the U.S. Defense Advanced Research Projects Agency (DARPA), which established the foundations of machine-to-machine communication protocols and the Internet, clearly does too. Another example is the technique of crowdsourcing, which has spawned dramatic and previously unimagined solutions to business and technical challenges (for example, the National Aeronautics and Space Administration’s [NASA’s] Citizen Science, Kiva’s crowdfunding platform, or Foldit, the online game about protein folding). Stories of foundational investments that unleashed enduring growth for major companies have been etched into our business lore. Procter & Gamble Co.’s investments in science, for example, led to the formulation of Tide and other synthetic detergents as well as mass-produced diapers. DuPont’s early investments in synthetic fibers and polymers (which were considered highly uncertain at the time) led to the development of nylon and Teflon. For Procter & Gamble and DuPont, the innovations have spurred decades of growth and opened doors to an array of related businesses, while also generating beneficial impacts for their customers. However, significant innovation breakthroughs are rare occurrences in most domains. In addition to being perceived as difficult (and costly) to orchestrate, pursuing breakthrough innovation is widely seen as extremely risky. In fact, in a number of industries, including pharmaceuticals and petrochemicals, tolerance for risk taking has fallen sharply in recent years. For several reasons, including near-term investor pressures, a tendency to “stick to what we know,” and concerns about general market volatility, making big bets on breakthrough innovations has become more difficult to justify. 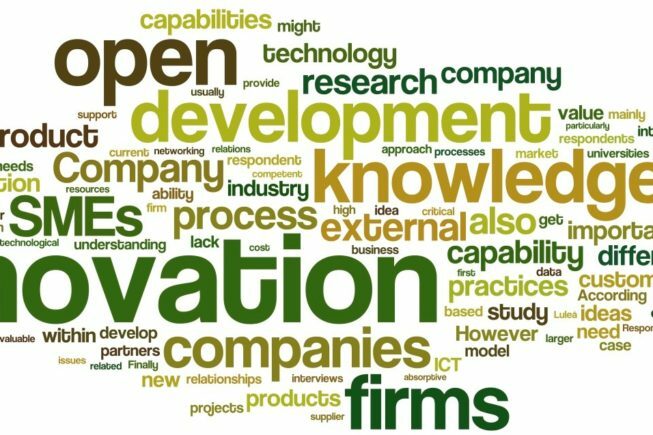 Traditionally, researchers focused on characterizing innovation from a solution perspective (for instance, radical, incremental, product, and process innovation, or general purpose technology).7 Subsequent work highlighted the benefit of taking a user perspective and called attention to the importance of addressing a latent need or problem (for example, disruptive or market-creating innovations that address “jobs to be done”).8 However, innovation impact — the driver of adoption and subsequent economic success — has historically been overlooked except in retrospective assessments of economic metrics such as job creation, productivity gains, and capital returns. Reach measures the breadth of influence and refers to the number of individuals, groups, and societal segments affected by an innovation. Significance refers to the magnitude of benefits across measures of economics, environment, health, and culture driven by an innovation. Paradigm change conveys the degree to which an innovation changes implicit or explicit worldviews in a particular domain. Longevity speaks to how long an innovation is able to exert influence. Examining impact from these perspectives can help both business leaders and policymakers understand how innovations drive large-scale change in people’s lives. For example, Apple Inc.’s efforts to drive global use of smartphones resulted in changes in lifestyle and social habits, expansion of economic value chains and ecosystems, and installation of new infrastructure to drive increased connectivity. Similarly, getting one billion people to join Facebook required far-reaching changes in how people communicate and manage personal relationships. Compared with other types of innovation, enabling innovations excel in each of the impact dimensions we have named.10 They can satisfy multiple purposes across contexts, which in turn gives them the ability to deliver exceptional impact. In exploring how enabling innovations work, the focus isn’t just on users, their problems, or related solutions — though these perspectives are important — but also on how the impact unfolds and the strategies that can be used to proactively shape it. Enabling innovations form the foundation for a cascade of progressive innovations that serve a broad array of purposes in multiple contexts and drive a change in paradigm, collectively driving tremendous cumulative impact. These innovations can typically be traced back to a series of fundamental breakthroughs. Between the breakthrough period and the impact cascade there is a critical stage called the enabling window. Decisions made in the enabling window (including decisions to string together a series of lily pad markets) allow organizations to build capabilities and explore markets that affect the timing and magnitude of impact achieved. Driving the significant impact that stems from an enabling innovation typically begins with breakthroughs: technical discoveries, inventions, or conceptual leaps that represent a step change even if they initially have little impact. That is what happened with the Global Positioning System (GPS), which is the foundation of a host of applications including automobile navigation systems, Google Maps, and an array of handheld and wearable devices. GPS began with a series of breakthrough insights more than 50 years ago, when Johns Hopkins University physicists William Guier and George Weiffenbach invented a way to calculate the location of Russia’s Sputnik satellite using its radio signals, a radio receiver, and a principle in physics called the Doppler effect.12 In the course of their work, Guier and Weiffenbach realized that they could solve the reverse problem as well — that is, calculate the location of a receiver on the ground using the satellite’s signals. This discovery led to multiple technical breakthroughs in satellite orbital tracking computations and electromagnetic signal processing to track objects on earth. Breakthrough insights by themselves are not enough to drive an idea toward broad, enabling impact. Innovators must navigate the enabling window, the critical stage in which multiple insights and capabilities coalesce. During this stage, innovation leaders often have opportunities to make decisions about which capabilities to develop and which application contexts to pursue that will affect the significance as well as the adoption rate of the innovation. “Moonshot” innovation initiatives typically involve long periods of significant resource investment in the pursuit of advances in a single application space until the goal is achieved. With “lily pad” strategies, capabilities are developed and introduced opportunistically in application spaces that are ready for adoption. Progress in one lily pad garners resources/cash flow earlier in the development process and can create a pathway for subsequent lily pads in other application spaces. With the lily pad strategy, innovators can be more strategic about how they implement their vision. Rather than risking large amounts of resources on one path, they pursue a series of lower-risk initiatives. To do this, they must link the current capabilities of their solutions, whether in parts or as a whole, to end-user needs in application spaces ready to accept them. The goal isn’t to satisfy aspecific end-user or application (although innovators typically do have a long-term target end-user or application in mind). Rather, it’s to satisfy any end-user who will adopt now. The reason is simple: Adoption leads to resources and/or cash flow, which allows the work to continue and creates a “lily pad” on which the innovation initiative can “land” on its way to a larger goal. The idea is to jump across lily pads — even in spaces that may seem of secondary strategic importance — as early as possible as a means of building interest in the concept (internally and externally), thus retaining the “right” to stay in business, with the eventual goal of bringing together parts of an enabling innovation over time. For example, consider the differences between how radar technology and mobile robotics were developed. Radar was developed using a classic moonshot strategy. During World War II, researchers across multiple nations worked to develop radar for high-performance military applications, building on earlier breakthroughs. Then, after the war, radar technology “trickled down” into broader applications. By contrast, mobile robotics has followed a course that’s consistent with a lily pad strategy. For example, management of iRobot Corp., one of the market leaders, has systematically matched its achievable performance to application contexts that could generate financial returns comparatively rapidly while building awareness and societal acceptance of the underlying technology. iRobot has advanced quickly from breakthroughs from military and space research to applications in oil exploration and extraction, disaster management, and children’s toys, to household vacuuming, pool cleaning, maritime applications, and environmental monitoring. Other examples of enabling innovations have tended to follow a lily pad process as well, albeit unintentionally. Although X-ray technology was originally imagined for medical purposes, early X-ray devices were used for entertainment in department stores and for security and customs inspection in train stations. Dentists were the first to routinely use X-rays in the medical professions: Initially, X-ray devices were better suited to scan teeth than other parts of the body due to exposure time and resolution constraints.15 These examples illustrate how enabling innovations jump across lily pads while in the enabling window, suggesting that the lily pad strategy can be employed proactively. Adoption leads to resources and/or cash flow, which allows the work to continue and creates a ‘lily pad’ on which the innovation can ‘land’ on its way to a larger goal. Innovations transition out of the enabling window and become true enabling innovations once their capabilities are agglomerated and applied in the form of progressive innovations that fulfill different purposes across different contexts. At this point, the innovation can drive a cascade of impacts across multiple dimensions. The laser provides a good example. Lasers changed our ability to ablate material, to measure distance, and to communicate. Not only have lasers spawned new companies, revolutionized medical procedures, and created jobs; the technology, which was developed more than 50 years ago, continues to generate advances today. Conceptual enablers can be just as powerful. The concept of crowdsourcing, for example, has enabled other conceptual innovations including crowdfunding, citizen science, and the sharing economy, each applying crowdsourcing techniques for different purposes (such as problem solving, pooling resources, curating collections, or identifying patterns), resulting in significant impact. Because the impact of historical enabling innovations seems obvious in hindsight,16 the question arises: How do you proactively spot and shape enabling innovations? Our research was designed to answer this question. We focused on the identification of proactive patterns of thought and action to make enabling innovation possible. If innovation leaders proactively identify the ecosystem changes that may stem from an innovation, they can get a sense of the innovation’s significance. A common set of characteristics underpins enabling innovations and makes it possible to spot and shape them. These characteristics can guide leaders in managing their investments in innovation. Enabling innovations tend to offer multiple pathways from first principles to impact. In essence, a first principles pathway indicates what an innovation can “do” in the most fundamental sense, without ties to a particular industry, application, or context. For example, lasers, at the most fundamental level, are sources of coherent light created through a physics principle called stimulated emission. For its part, crowdsourcing is a mechanism to aggregate resources, which could be insights, money, or emotional support. For any given innovation, thinking about the paths to impact from first principles provides an indication of the innovation’s potential and highlights the spectrum of possibilities for achieving impact. They have relevance to multiple purpose categories. Enabling innovations can be employed in multiple purpose categories to solve fundamentally different types of problems. Different purpose categories can be identified by describing the challenges that an enabling innovation can address through a first principles pathway without tying them to a specific context. Coherent light from lasers, for example, can be used for various purposes: to transmit data, ablate material, or measure distance. GPS is widely used for locating objects or people in physical spaces, but it can also be used to measure travel speed or to synchronize timing instruments. They have utility across many application spaces. Enabling innovations are useful in many application spaces. Crowdsourcing, for instance, is useful when pooling financial resources in a philanthropic context (for example, Kiva) and also in an entrepreneurial context (for instance, Kickstarter). Similarly, radar can be used to detect and avoid objects in navigation and is also helpful in identifying patterns in geologic formations or meteorology, or in assessing the speed of an approaching vehicle in law enforcement. They offer possibilities for reconfiguring ecosystems. Enabling innovations often reconfigure ecosystems. Take the development of radar. As radar gained popularity, a network of special antennas was required for applications such as weather prediction, leading to the emergence of new technology, suppliers, and jobs, as well as new information that was useful on a daily basis for consumers and that dramatically affected quality of life. If innovation leaders proactively identify the ecosystem changes that may stem from an innovation, they can get a sense of the innovation’s significance and its potential to be enabling. They tend to have significant potential for improvement. Enabling innovations exhibit room for improvement (what we call headroom) to fulfill different purposes or extend to new contexts. The improvements could involve technology, economics, or ecosystem alignment. For example, early GPS receivers could receive signals only every few hours, which limited the potential applications. Early X-ray devices had similar constraints; they took several hours to generate images. However, the potential for improvements can often be envisioned early. Innovation roadmaps founded on “what if” analyses can highlight priority capabilities, preview new application spaces, and suggest possible alternate development paths. They offer diverse solution forms and combinations. Enabling innovations can manifest in an array of solution forms and combinations. Radar, for example, comes in multiple forms. It can be pulsed or continuous, active or passive, unidirectional or bidirectional, or Doppler. The same goes for lasers, which can be based on various substances, including gas, liquid chemicals, solid state gain media, or semiconductors. The versatility of enabling innovations can be enhanced when used in combination with other innovations. They drive a foreseeable impact cascade. Enabling innovations generate a foreseeable impact cascade. As a result, leaders and decision makers can identify enablers by projecting the reach, significance, paradigm change, and longevity potential of innovations. For example, manipulating the X-ray region in the electromagnetic spectrum, although often associated with monitoring and improving people’s health, also stimulated the creation of new industries (for example, protective clothing and exposure sensors), provided new ways to scan our environment (such as X-ray astronomy), and shaped many elements of culture (for instance, improved security through luggage inspection). Frequently, many of the benefits are apparent long before they are implemented. A lily pad strategy can generate critical resources needed for continued development of a concept, reducing the time to results and reducing the overall level of risk. Screen for the characteristics of enabling innovations at the front end.All ideas (or components of ideas) should be screened based on the characteristics described above. Such screening can help decision makers understand whether their investments and the path to development should be considered as an enabling innovation or a progressive innovation, or whether there’s a specific component of the innovation that could be further developed. GPS provides a good example. Early in its development, those in the field recognized its potential to be applied for many purposes in multiple contexts, and they even began to articulate some of the important issues that needed to be addressed (such as security and privacy).18 Not only has the underlying technology of GPS been applied across many different contexts, but it continues to provide solutions that have far-reaching implications for society. Envision and proactively pursue “lily pad” markets to fuel the development of desired capabilities. Lily pad applications for an enabling innovation provide opportunities to match capability, purpose, and context in a manner that advances select performance dimensions of the innovation, aligns elements of ecosystems, and/or begins to shift worldviews. Many high-impact innovations have unfolded this way. For example, a series of capability-building lily pads related to the uses and production of glass are at the foundation of fiber optics. One of the very first applications of light-guiding glass was to illuminate teeth for dental exams.19 Later, optical fibers were used in medical settings for remote illumination and in the military to enhance visual range. Improvements in glass production and expanded transmission bands opened up other applications, such as fiber-optic long-distance communication. A similar proliferation of capabilities has taken place in mobile robotics.20 Feedback from early applications can be used to identify future development paths that lead to other potential lily pads. Monetize steps along the way by going beyond common industry boundaries. Beyond solution optimization, a lily pad strategy can generate critical resources needed for continued development of a concept, reducing the time to results and reducing the overall level of risk. The key is to be proactive and expansive in defining new application spaces. Many managers are reluctant to apply ideas beyond the context in which they were conceived. However, this view ignores the possibilities for faster adoption of solutions in other contexts. The development of silicon transistors offers a good example of how monetization forms can vary along lily pads. Although Bell Labs pioneered the germanium transistor, it was Texas Instruments Inc. (TI), originally a Dallas-based company providing seismic exploration services to the oil industry, that played the pivotal role in advancing the enabling innovation. While TI had a license to manufacture transistors from Bell Labs, it saw more potential in developing silicon transistors than in germanium transistors, which if successful would be cheaper to make. To monetize its investments, TI employed a strategy that resembled a lily pad approach. First, it partnered with another company to make transistors for pocket radios; then it developed some of the first commercially available microchips, which were sold to the military and the space program.21 TI’s next — and most dramatic — leap was into high-volume pocket calculators for consumers. Similarly, the early history of synthetic chemistry, although originally intended for human health purposes, can be traced back to the synthetic dye industry. Many Swiss and German companies, such as Bayer AG, monetized chemical capabilities in dyes before becoming pharmaceutical companies.22 The proactive pursuit of lily pad application spaces requires going beyond the usual strategic boundaries. This may require monetizing developments via a different business model, or making trade-offs that might not be viewed as optimal using traditional lenses. Before launching the Roomba vacuum, for example, iRobot explored multiple monetization paths. As the first step, it garnered research contracts with the military and space exploration agencies. Then it pursued commercial partnerships with S.C. Johnson & Son, the cleaning supply company, and Hasbro Inc., the toy company. Each of these lily pads provided a distinct insight into the technology and how it could be monetized, without causing the innovator (in this case, iRobot) to lose sight of the longer-term goal of a broader enabling innovation. Understand and proactively shape the ecosystem. Organizations that wish to achieve enabling innovations must be ready to articulate, structure, and proactively address the broad spectrum of forces at work in the ecosystems that the innovator may encounter throughout the enabling window. These forces span the systemic, technical, economic, sociological, and psychological domains; they can include traditional factors such as the presence of alternative solutions and regulations, as well as less commonly examined issues such as prevailing norms and deeply seated paradigms that could limit change. Prior to the rise of anesthesia, for example, surgical skill was measured in terms of speed; even in the early days after its introduction, many people considered anesthesia a “needless luxury.”23 Years of live surgical exhibitions, academic publications, and patient testimonials were required to shift the surgical community’s practices. Life insurance faced similar cultural resistance from people who objected to placing a monetary value on life and death. Today, innovative organizations are demonstrating an awareness of broader ecosystem issues and driving the change they need to realize their vision. For example, Google Inc. designs its own servers optimized for data-center efficiency, and Amazon.com Inc. leases fleets of cargo planes to address its massive demand for freight transportation. The net result of these philosophies is that enabling innovations can develop more quickly, with increased opportunities for self-funding and reduced levels of risk. With the lily pad approach, organizations may not work with their ideal end-users or in their preferred contexts at the outset. Nevertheless, their activities may advance them toward to their long-term goal. In the case of iRobot, although the company wanted to use robots to solve problems that impacted people’s lives,24 to generate the revenue it needed it maintained flexibility by developing products and capabilities in several new arenas that were outside its target market. By doing so, it broadened its expertise. The company continues to pursue this strategy,25 adapting its capabilities and business model to such new markets as law enforcement, homeland security, elder care, home automation, landscaping, agriculture, and construction. In this respect, iRobot has strategically understood its capabilities and pathways to impact from a first principles perspective and made connections to lily pads that have allowed the company to advance. While we acknowledge that some efforts to innovate are binary (they either succeed or they don’t, and it often takes time and effort to find out), many are not. What’s more, even environments that seem suited to moonshots lend themselves to identifying opportunities for lily pads, as the capabilities needed to develop enabling innovations in these types of environments are likely to be relevant in other domains. For example, back in the 1880s, Pfizer Inc.’s research into fermentation led to chemical advances in the production of citric acid that had applications in the manufacture of soft drinks such as Coca-Cola and Pepsi, which were growing in popularity at the end of the 19th century. Not only did these capabilities provide the company with decades of growth; they helped the pharmaceutical company develop deep-tank fermentation methods later used for the production of penicillin.26 Indeed, it’s possible that advances can be achieved that generate significant value — either scientifically or from a market perspective — if applied to other settings immediately. While we acknowledge that some efforts to innovate are binary (they either succeed or they don’t, and it often takes time and effort to find out), many are not. Do you understand the role of enabling innovation in your strategy? Although we focus heavily on enabling innovation in this article, other forms of innovation can (and should) be part of a balanced innovation portfolio. Achieving the right timing and balance for enabling innovation in your organization’s innovation portfolio requires understanding the organization’s history and having a view on its future environment. Many organizations are operating right now on the cascade created by a previous enabling innovation, and when that enabling innovation runs its course, such organizations will need to find another one. Understanding where your organization is in the enabling innovation model can help inform your strategy and determine how much effort you should dedicate to spotting and capturing an enabling innovation. Can you spot potential enabling innovations? Employing the insights described here may require innovation teams to think differently. By asking who might want to use this capability, organizations are opening up new paths, at least some of which are counterintuitive and uncertain. However, engaging in this exercise can help would-be innovators appreciate their possibilities and prioritize potential investments using a powerful lens. Do you have the organizational will to pursue enabling innovations?True enabling innovations can yield rewards that go far beyond most other forms of innovation and give companies a long-lasting competitive edge. However, pursuing them may seem at odds with the pressure for short-term results. To be sure, challenging the norms of your current business environment to explore new lily pad markets will not be easy. But our approach offers an opportunity for organizations to invest both for now and for the future. In an increasingly unpredictable and resource-constrained world, accelerated, lower-risk pursuit of enabling innovations could be a key to long-term success. Such innovations offer the potential to create enduring growth for the organizations driving them, not simply based on their functional or conceptual advances, but also because of the influence they can have on broader societal factors that can drive widespread adoption and use across multiple application spaces. It is their ability to change society that drives economic gains, not the other way around. Managers would do well to be aware of this counterintuitive cause-effect relationship in advance. In matters of innovation, risk, and return, understanding enabling innovations and lily pad strategies can lead executives to smarter (and less risky) decision-making and investment strategies. The classical risk-return doctrine has its origins in microeconomics, portfolio theory, and capital allocation models, with the capital asset pricing model being a prime example. This model states that the expected risk premium of an investment is proportional to its (undiversifiable) systemic risk, meaning that increased risk should be rewarded with commensurately higher returns. See V. Bush, “Science: The Endless Frontier” (Washington, D.C.: U.S. Government Printing Office, 1945); D.E. Stokes, “Pasteur’s Quadrant: Basic Science and Technological Innovation” (Washington, D.C.: Brookings Institution Press, 1997); and J.M. Dudley, “Defending Basic Research,” Nature Photonics 7, no. 5 (May 2013): 338-339. See F.G. Solis, “Characterizing Enabling Innovations and Enabling Thinking” (Ph.D. dissertation, Purdue University, School of Civil Engineering, 2015); F. Solis and J. Sinfield, “Rethinking Innovation: Characterizing Dimensions of Impact” (paper presented at the ASEE Annual Conference and Exposition: 360 Degrees of Engineering Education, Indianapolis, Indiana, June 15-18, 2014); and F. Solis and J.V. Sinfield, “Rethinking Innovation: Characterizing Dimensions of Impact,” Journal of Engineering Entrepreneurship 6, no. 2 (June 2015): 83-96. See B. Godin, “Innovation Studies: The Invention of a Specialty (Part I),” (Montreal, Quebec: Project on the Intellectual History of Innovation, working paper 7, 2010); and B. Godin, “Innovation Studies: The Invention of a Specialty (Part II),” (Montreal, Quebec: Project on the Intellectual History of Innovation, working paper 8, 2010). Solis and Sinfield, “Rethinking Innovation”: 83. Until relatively recently, most definitions of innovation were focused on solutions — in particular, technical solutions. Solutions were characterized by their novelty and the way they differed from prior solutions. Product and process innovations focused on improvements to what was already available. Solutions that have broad applicability (such as the steam engine, electrification, and the Internet) have often been called general purpose technologies, or GPTs. Beginning in the 1990s, researchers also began paying close attention to service innovations and business model innovations. These involve changes in how solutions are designed and implemented, but they don’t always involve new technology. See J.M. Utterback and W.J. Abernathy, “A Dynamic Model of Process and Product Innovation,” Omega, The International Journal of Management Science 3, no. 6 (December 1975): 639-656; J.E. Ettlie, W.P. Bridges, and R.D. O’Keefe, “Organization Strategy and Structural Differences For Radical Versus Incremental Innovation,” Management Science 30, no. 6 (June 1984): 682-695; and T.F. Bresnahan and M. Trajtenberg, “General Purpose Technologies ‘Engines of Growth?’” Journal of Econometrics 65, no. 1 (January 1995): 83-108. Also in the 1990s, a new perspective on innovation began to focus on end-users. Rather than looking at developments in comparison to prior solutions, researchers examined what users found important. In his work on disruptive innovation, Harvard Business School professor Clayton M. Christensen found that some users were willing to make significant trade-offs in performance and forgo traditional benefits based on what they sought to accomplish in their own circumstances, particularly when they were constrained by wealth, time, access, or expertise. An extension of this work has focused on market-creating innovations, as exemplified by Ford Motor Co.’s Model T and the personal computer. Such innovations democratize complicated or costly products for markets that previously didn’t exist. See C.M. Christensen, “The Innovator’s Dilemma: When New Technologies Cause Great Firms to Fail” (Boston: Harvard Business Press, 1997); C.M. Christensen and D. van Bever, “The Capitalist’s Dilemma,” Harvard Business Review 92, no. 6 (June 2014): 60-68; and S.D. Anthony, M.W. Johnson, J.V. Sinfield, and E.J. Altman, “The Innovator’s Guide to Growth: Putting Disruptive Innovation to Work” (Boston: Harvard Business Press, 2008). Solis and Sinfield, “Rethinking Innovation”: 88-89. Our research suggests that this pattern is equally applicable to large-scale socioeconomic and systems-level challenges often encountered in nonprofit and government contexts. See H. Bray, “You Are Here: From the Compass to GPS, the History and Future of How We Find Ourselves” (New York: Basic Books, 2014); and W.H. Guier and G.C. Weiffenbach, “Genesis of Satellite Navigation,” Johns Hopkins Technical Digest 19, no. 1 (January-March 1998): 14-17. M. Yunus, “Banker to the Poor: Micro-Lending and the Battle Against World Poverty” (New York: Public Affairs, 1999). See D. Dougherty and C. Hardy, “Sustained Product Innovation in Large, Mature Organizations: Overcoming Innovation-to-Organization Problems,” Academy of Management Journal 39, no. 5 (October 1996): 1120-1153; E. Maine and E. Garnsey, “Commercializing Generic Technology: The Case of Advanced Materials Ventures,” Research Policy 35, no. 3 (April 2006): 375-393; N. Matta and R. Ashkenas, “Why Good Projects Fail Anyway,” Harvard Business Review 81, no. 9 (December 2003): 109-116; B.J. Sauser, R.R. Reilly, and A.J. Shenhar, “Why Projects Fail? How Contingency Theory Can Provide New Insights — A Comparative Analysis of NASA’s Mars Climate Orbiter Loss,” International Journal of Project Management 27, no. 7 (October 2009): 665-679; and L.R. Cohen and R.G. Noll, “Government R&D Programs For Commercializing Space,” American Economic Review 76, no. 2 (May 1986): 269-273. See B.H. Kevles, “Naked to the Bone: Medical Imaging in the Twentieth Century” (New Brunswick, N.J.: Rutgers University Press, 1997); and R.B. Gunderman, “X-Ray Vision: The Evolution of Medical Imaging and Its Human Significance” (New York: Oxford University Press, 2012). In fact, the enabling-progressive pattern suggests that a handful of solutions underpin a tremendous amount of impact that can be exploited by businesses, agencies, foundations, and societies alike. See A. Gawande, “Two Hundred Years of Surgery,” New England Journal of Medicine 366, no. 18 (May 3, 2012): 1716-1723; and A. Gawande, “Slow Ideas,” The New Yorker, July 29, 2013. J. Hecht, “City of Light: The Story of Fiber Optics” (New York: Oxford University Press, 2004). In what could be considered lily pads to mobile robotics, iRobot developed capabilities in spatial exploration through the Genghis robot, in real-time data gathering through MicroRig, in real-time interactions through the toy My Real Baby and the robot IT, in navigation and mobility through the Gecko and Holon robots, and in floor cleaning through the NexGen Floor Care Solution. See iRobot, “Cool Stuff: The Story of Our Robots,” www.irobot.com. W. Isaacson, “The Innovators: How a Group of Hackers, Geniuses, and Geeks Created the Digital Revolution” (New York: Simon & Schuster, 2014). For example, while attempting to synthesize an antimalarial agent, two scientists unexpectedly produced a purple compound that turned out to be a synthetic dye. Recognizing the potential to exploit this synthetic chemistry capability, many Swiss and German companies, including IG Farben (part of which was later split off as Bayer), led the creation of the synthetic dye industry. Eventually, the capabilities developed by these companies in the manufacture of synthetic dyes helped them transform into modern pharmaceutical companies and led to important successes in human health applications such as aspirin, antibacterials, and chemotherapy. See B.J. Yeh and W.A. Lim, “Synthetic Biology: Lessons From the History of Synthetic Organic Chemistry,” Nature Chemical Biology 3, no. 9 (September 2007): 521-525.
iRobot, “2014 Annual Report,” http://investor.irobot.com. J. Ginsberg, “Development of Deep-Tank Fermentation, Pfizer Inc.” (Washington, D.C.: American Chemical Society, June 12, 2008). J.V. Sinfield, E. Calder, B. McConnell, and S. Colson, “How to Identify New Business Models,” MIT Sloan Management Review 53, no. 2 (winter 2012): 85-90. Joseph V. Sinfield is an associate professor of civil engineering at Purdue University, in West Lafayette, Indiana. Freddy Solis is a postdoctoral research associate in the College of Engineering at Purdue University. We pursued three research streams that were iteratively triangulated over the course of five years. First, we tried to integrate seemingly disparate insights within and across perspectives and disciplines related to the challenge of innovating with high impact. We examined bodies of literature that are relevant to high-impact innovations, including management, design, entrepreneurism, systems, and learning, with the goal of placing specialized high-impact innovation knowledge into a broader context. Included in this generative synthesis were perspectives found across the policy, design, economics, and history of science bodies of knowledge, as well as research and reports from nongovernmental organizations that were used to characterize impact and define its links to innovation. Second, we did a qualitative study of secondary research sources that documented the history of high-impact innovations using a technique called thematic analysis. We analyzed these historical case examples, which ranged from the development of lasers to the evolution of microfinance, to identify patterns of innovation impact across situations that spanned the technological and conceptual domains. Our third and final research stream consisted of a technique called verbal protocol analysis, which was employed to study performance tasks centered on a societal “grand challenge.” We asked 28 leading innovation consultants, innovation executives, university professors, and students viewed as leading innovators to state their thought process as they approached the performance task. The observations were transcribed for analysis and studied to understand and codify patterns of thought and action associated with high-impact innovation pursuits. The iterative triangulation of these research streams resulted in what we describe as “the enabling innovation model” and a related set of competencies and proactive design behaviors to design for high-impact innovation.i This research was conducted with generous support from the Purdue University Engineer of 2020 Initiative, the Consejo Nacional de Ciencia y Tecnologia (CONACYT) from the government of Mexico, and Purdue’s Bilsland Strategic Initiatives Fellowship.